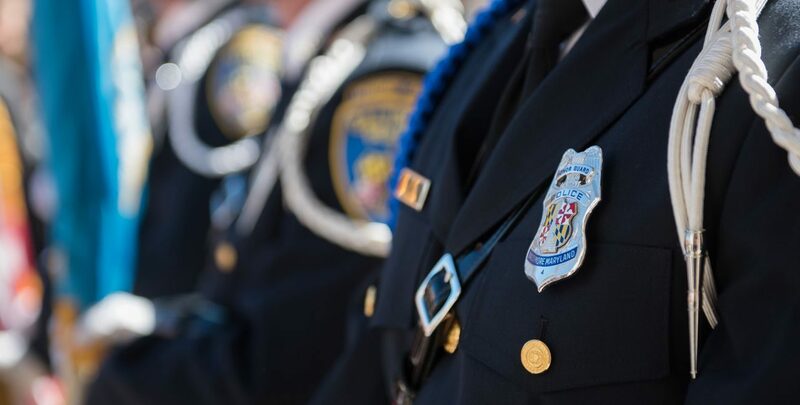 BALTIMORE (CNS) — Sharing the first and second readings on the Third Sunday of Lent at St. Casimir Church in Baltimore March 4 carried added significance for two parishioners, both of whom are police officers. It was the parish’s feast day, and Baltimore Archbishop William E. Lori presided. He did so not just to acknowledge the 15th-century noble from Poland who is equally revered in Lithuania, but to show his appreciation and support of the Baltimore City Police Department. “Every day you put your lives on the line to keep the citizens of our city safe, and build bonds of trust,” Archbishop Lori said in his homily. “Every day you strive to strengthen your efforts on behalf of us all as you implement necessary reforms and see to it that your ranks are filled with men and women who are worthy of this high calling. Police in attendance included Det. Ashley Acord and Lt. Robert Quick Jr., the two lectors. Both are lifelong Baltimoreans who attended Catholic elementary schools on the east side. She went to The Catholic High School of Baltimore; he went to Calvert Hall College High School in Towson. “Signs of unity are particularly important now,” Quick added. The challenge inherent in their jobs compounded in 2017, when the city recorded a record number of homicides and a corruption scandal in the Gun Trace Task Force was uncovered. Archbishop Lori was asked about that landscape before Mass. The two officers who read at Mass were asked: What gives them additional hope? Their fellow parishioners were out in force in one of the largest churches in the Archdiocese of Baltimore. The faithful included many young parents with children, wide-eyed at the regalia displayed by uniformed officers, the Knights of Columbus, the Boy Scouts of America and the Maryland Catholic War Veterans, who helped sponsor the Mass. The first reading from Chapter 20, Verses 1-17, from the Book of Exodus — in which God delivers the Ten Commandments — fell on particularly open ears. Baltimore Mayor Catherine Pugh and Darryl De Sousa, the new city police commissioner, were at the Mass. It included the distribution of “Ranger Rosaries,” which were blessed by Archbishop Lori. “The archbishop told me that he had been wanting to do this for a while,” said Conventual Franciscan Father Dennis Grumsey, pastor of St. Casimir.